Researchers from the University of Colorado at Boulder revealed how consumers contribute to air pollution at a household level. According to the study, anything from vacuuming to making dinner can create air pollution inside the home. The team points out that a number of personal hygiene and cleaning products also go beyond the four walls of consumers’ homes to negatively contribute to air pollution levels. 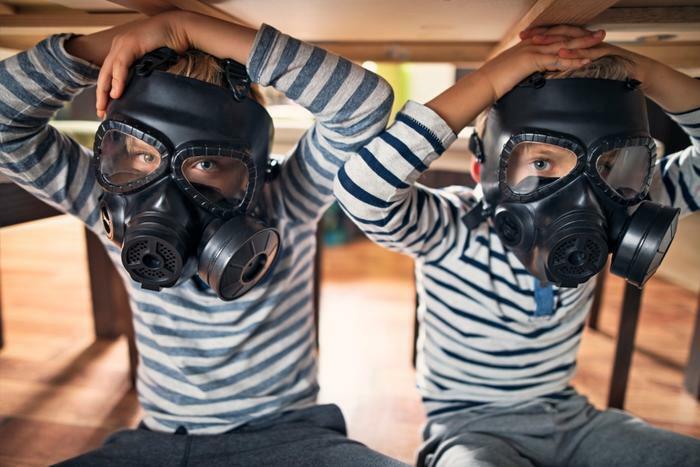 To see how regular day-to-day activities are affecting the environment, the researchers monitored the air quality inside the walls of a home on the University of Texas Austin campus. Using cameras and sensors, the group analyzed how various chores, including boiling water and cooking an entire Thanksgiving dinner, contributed to air pollution inside the 1,200-square-foot home. The researchers found that tasks big and small can lead to levels of indoor air pollution similar to those found in large metropolitan cities. According to Vance, ventilation is key to keeping clean air flowing in homes and preventing the risk of any negative health outcomes. In addition to chores around the home, previous studies have helped researchers discover how personal hygiene and cleaning products used in the home can increase the spread of toxins and negatively affect air quality. Based on these results, de Gouw is hopeful that future air pollution research will factor in the effects of common household products and everyday household duties. The list of negative health effects that come from air pollution is seemingly endless. Not only does air pollution kill seven million people around the globe annually, but it’s also sending more and more people to the emergency room with respiratory issues. While the effects of air pollution aren’t contingent on age, researchers have taken a special interest in exploring the countless ways children are impacted. Toxins in the air can impede children’s performance in school, and they also affect their likelihood of developing obesity.